Browse our selection of official Romania national team kits and clothing. 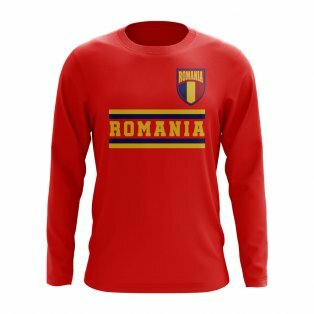 Buy the new Romania home & away shirts and personalise with your chosen name and number. 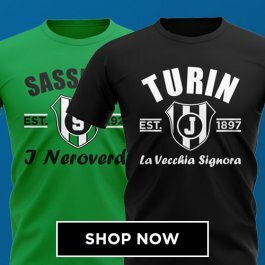 Complete your kit with matching shorts and socks and buy the latest training kit including tracksuits, polo shirts, training jerseys, t-shirts and hoodies. 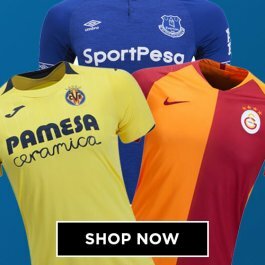 UKSoccershop ship worldwide, with fast UK and international delivery. 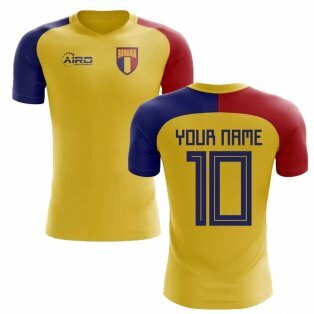 Everything we sell is 100% authentic and we are leading supplier of football shirts since 2004. 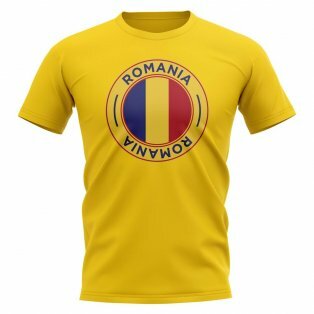 For many years, Romanian kits have been one of the hardest jerseys to source and a very limited range of merchandise has been available to buy on the market. 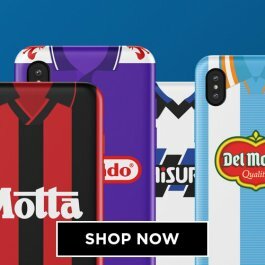 This has not been due to a lack of demand – we have always had a large number of requests for the kits – but due to limited availability of supply. 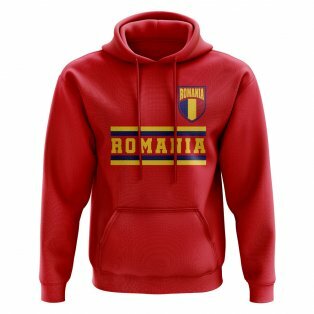 Romania are an Eastern European nation and were most prominent during the 1990’s, when they had the strongest team in their history led by Gheorghe Hagi, who was one of the best footballers ever to play the beautiful game. A cultured left-footed midfielder who would go on to star for Barcelona, Hagi lit up major tournaments with his skills, goals and assists. 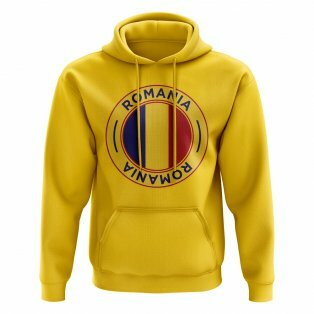 Romania reached the quarter finals at the 1994 World Cup in America – their best ever performance at a World Cup Finals – knocking out Argentina in what was a major shock. 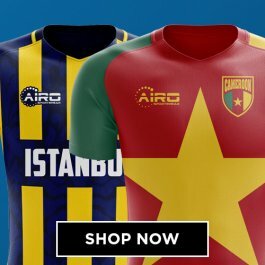 Throughout this period, they had a number of well known players including ex-Chelsea stars Dan Petrescu and Adrian Mutu, plus Gheorge Popescu and Daniel Prodan. At Euro 2000, the famous bleach blonded side defeated England in a game best remembered for Kevin Keegan’s erroneous statement that “only one team are going to win this now”. However, in recent times, Romania have struggled to recapture their 90’s form. 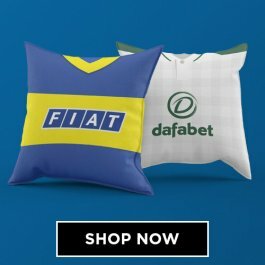 Unable to replace their star players, they have missed out on more tournaments than they have reached and suffered dismal showings at both the 2008 and 2016 European Championship Finals. Romania have worn numerous kit colours throughout the years. 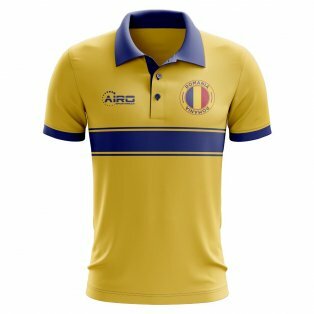 Their first ever kit in 1930 was blue, before a red kit was adopted in 1938. 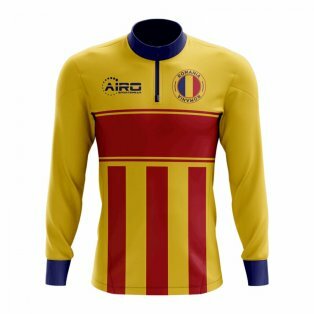 Yellow is the colour most synonymous with the national team and was worn for the first time in 1970. 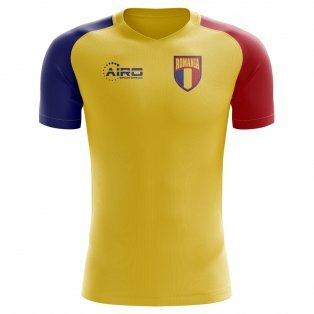 Since then, it has been the first choice colour of the home shirt, with red being commonly adopted as the away jersey. 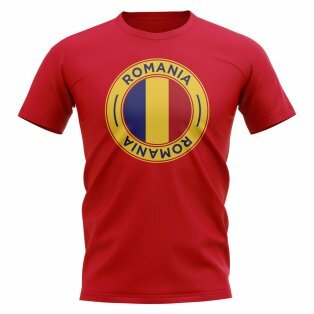 There have been some beautiful Romanian jerseys over the years, with the 1994 World Cup shirts a particularly striking design in both the home & away kits. 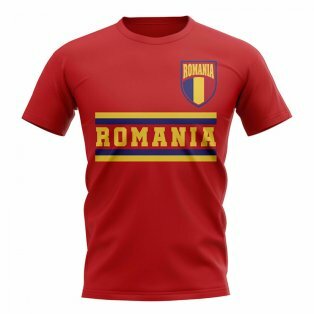 After their 21 year partnership with Adidas – who took over from Le Coq Sportif in 1984 – ended in 2015, Romania signed a partnership with Joma for their Euro 2016 kits, which would last until 2018. When you buy your Romanian jerseys with us, you can customise them with the name and number of any of the national team stars – including legends such as Hagi and Mutu – or choose your own name. 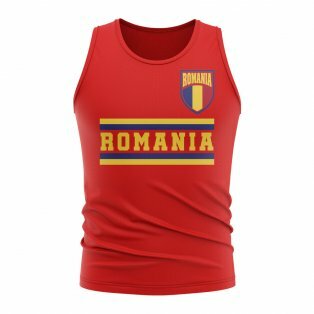 At UKSoccershop, we not only supply the home & away replica shirts for adults and juniors, but we have a wide range of Romania training kit. 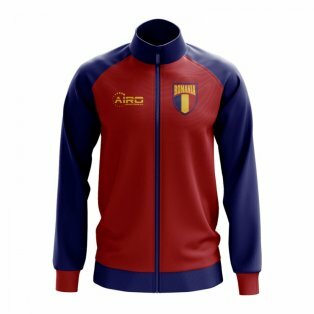 Tracksuits, polo shirts, training jerseys, t-shirts and hoodies are just some of the items available to purchase.